If you really want to know about the best places to go in New York, I will tell you about them. They are the places where you will see the least amount of phonies. You know, the ones in plaid or expensive suits. I really hate those people. As much as I hate the movies. You will need to get to New York somehow, and I suggest going by train. I love it when you go at night, and everything is black outside. It is a great time to get coffee, a ham sandwich, and a magazine (or, in my case, four). Just put your luggage on your seat when you get to Trenton. There is always a woman that gets on to tell you about her hotshot kid that goes to your school. You are going to New York to get away from all that. Definitely go to Greenwich Village, but all you really have to do is go to Ernie’s. It is a nightclub that my brother used to go to all the time. You have to make sure you get there early though, because the place gets jampacked. Even though Ernie is a great piano player, he is a phony. He pretends to be humble when people go wild after he plays. Still, Ernie does play halfway decent, so it is worth the trip. Rockefeller Center is a great place to go if you like skating, even if you are one of the worst out there. It is a great date place, because girls wear these dresses that make them look cute. 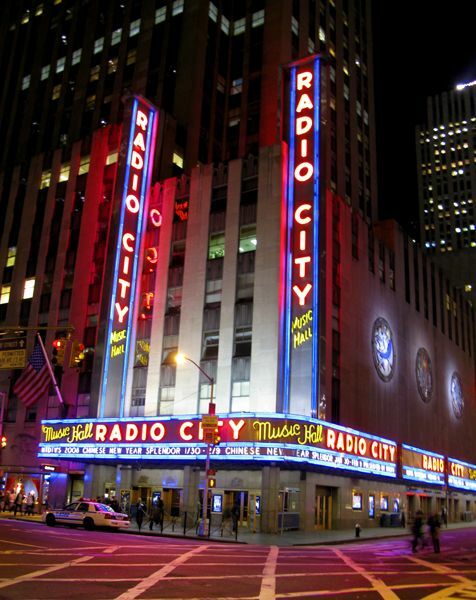 There is also Radio City Music Hall. The Rockettes are really great—people like to say what makes them spectacular is their precision, which always kills me. Leave before they play a movie, though. I know this place like a book, but I always return. It is that good. If you go, you have to go to the Eskimo exhibit. It is my favorite. No matter how much you age, they remain the same. Even though you might be with different people each time you go, they will still be catching those fish. So if you come back to New York City, you have to go back to see them. You know, just to witness something timeless. I am going to tell you to go to the carousel in Central Park, but, before you go there, check out the ducks on the lagoon. If it is wintertime, can you tell me where they go? I know the fish are still there, but I am really curious about the ducks. Anyway, after you solve that mystery, go to the carousel. You might want to take a detour to see the sea lions at the zoo, but the carousel is really the best part. Especially if you have your little sister with you. You might want to stop her from grabbing the gold ring, but you gotta let her do it.